An original style makes a reappearance in the industry. Lansky Sharpeners is a world leader in innovative sharpening technology and is known to have “an edge above the rest.” Lansky Sharpeners, located in Buffalo, NY, has been providing innovative technology to those in need for years, and the customer satisfaction and latest-and-greatest technology continues to grow. This year, Lansky Sharpeners is happy to announce the re-introduction of the original style, notched multi-clamp. Beginning in January 2016, Lansky began packaging the original style, notched clamp (LP006) with all the kits. This extruded aluminum knife handling clamp can hold almost any blade. 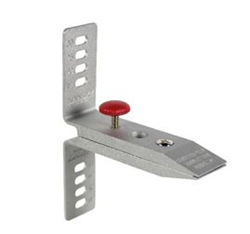 The notched jaws provide secure and exact blade handling on almost all blades, including most narrow blades. It can be as precise as holding tiny Swiss army-type blades, from 1/2'” wide and less. The LP006 comes in every kit and has the widest range of knife handling. It is also sold separately for purchase. This way, all those interested in the multi-angle knife clamp have the option of purchasing the full kit or simply just the LP006. Don’t hesitate to reach out to learn more about the LP006 and other products that Lansky Sharpeners offers. For more information regarding the multi-angle clamp and the instructions on how to use it, visit http://www.lansky.com.